The My Dog figurine line includes many different items, each breed in a unique different pose or stance and each one beautifully hand painted and detailed. There are dogs with balls, blankets, sticks and dozens more designs! These are larger than our standard figurines and measure approximately 7”L X 7” W X 7” H with each one being a little different. 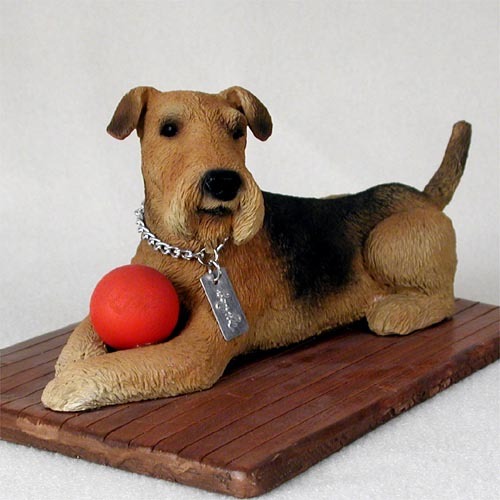 The My Dog figurines are done in the most popular breeds and are meticulously crafted in stone resin, then hand painted for unparalleled realism. Each dog comes with a silver tone neck chain and a tag that reads “My Dog”. These are individually boxed ready to give as a gift or display at your store.